The controversy began with Cole holding a community meeting July 19 to allow public discussion on fatal shootings involving black Americans and police, according to the San Diego Union Tribune. 200 people and several fellow city council members — council president Sherri Lightner and members Todd Gloria, David Alvarez and Lorie Zapf — attended the event in Cole’s district. In the Tuesday, July 26 council meeting held just one week later, Cole thanked those that attended the community meeting. Cole then speficially described a group of young people that attended as disruptive and disrespectful, but that she allowed it. She then recalled in her council meeting statement that the group had brought up racial profiling. According to Cole she had responded saying that she supports her community, but wanted to bring attention to black-on-black shootings. 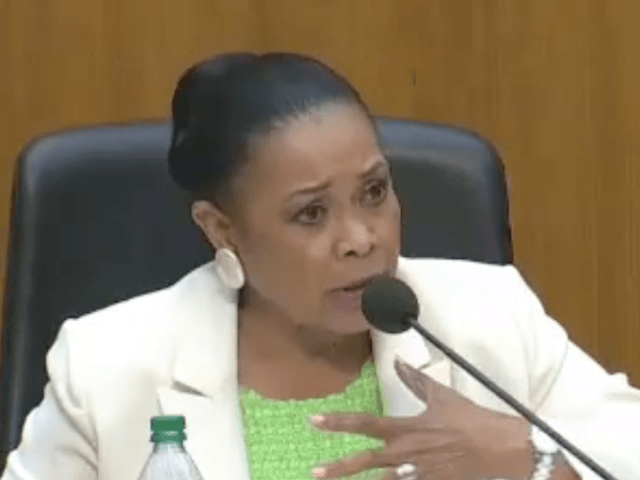 After giving examples of black murders of other blacks in her own council district, Cole continued by stating that police are stopping blacks in cases where a suspect is described as black. She called for meetings to deal with black-on-black crime, including stopping black children from shooting black children. Cole said there would be something wrong with racial profiling in which a police officer would pull over an individual 52 times in a year, but stated that such a case has not yet been seen. “Let’s also address the black on black crime in this nation,” she said. Shane Harris, president of the Al Sharpton-founded National Action Network (NAN), called Cole’s comments offensive,and called for her resignation, according to local public broadcasting network KPBS. Harris had been organizing for a July 29 protest against Cole at her council office, which is located in the Tubman Chavez Center. Harris characterized Cole’s comments as a “slap in the face to minorities” across the country. Late Thursday night, two San Diego police officers were shot. One died as a result of his injuries. KPBS updated its report 9:30 a.m. on July 29: “In lieu of the protest at Councilwoman Cole’s district office, activists are holding a “vigil for peace” Friday at 6 p.m.” The “vigil” was organized by the same NAN group that had been organizing the protest against Cole. Councilwoman Myrtle Cole’s Statements On Racial Profiling from Andrew Bowen on Vimeo.